Community dances feature traditional New England style folk dancing that can be enjoyed by people of all ages, with no previous dance experience required. The dances combine simple figures such as do si dos, promenades, circles, four-hand stars, and swings in easy-to-learn combinations. 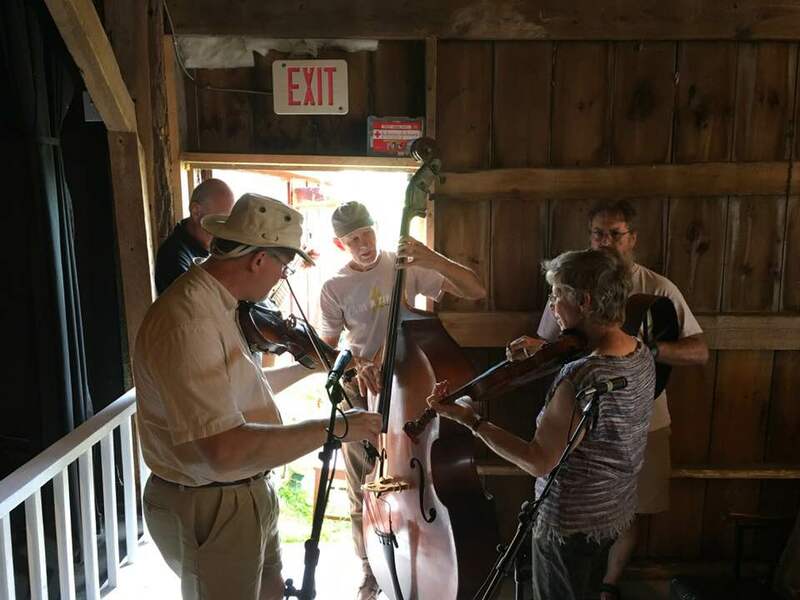 Lively music provided by the Hubbard Hall Tune Jam Band, and all dances taught by caller Fern Bradley. Come on down to the Freight Depot Theater with friends and family to enjoy these delightful evenings of old-fashioned fun and a tasty potluck supper, too! All dances are FREE and open to the public; donations in support of Hubbard Hall Projects gratefully accepted. 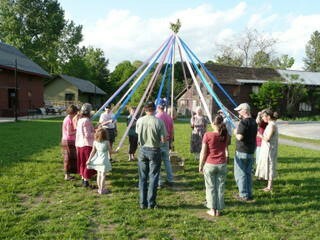 We’ll celebrate spring with traditional dances weaving ribbons around a Maypole! Then we’ll enjoy a potluck supper. Following the potluck, we’ll kick up our heels with some great contra and square dances. Please bring a dish to share.